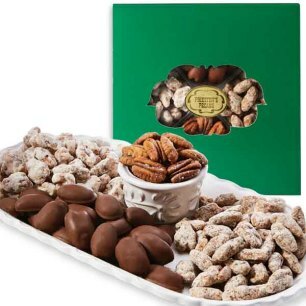 A wonderful gift, perfect for corporate gift giving, teachers, neighbors, and co-workers. 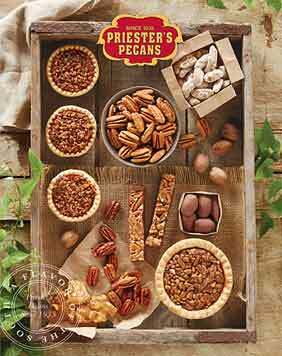 The recipient of this gift will receive an assortment of Priester's favorites including Pecan Fiddlesticks, a Mini Pecan Pie, Premium Back Country Snack Mix, Crunchy Praline Pecans, Honey Glazed Pecans, and Roasted and Salted Pecan Halves. 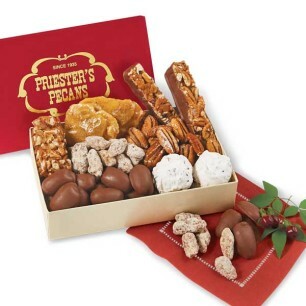 I send Priesters gifts to friends and family throughout the year and get great feedback on them. A great way to remember people during the holidays and many price points to choose from.